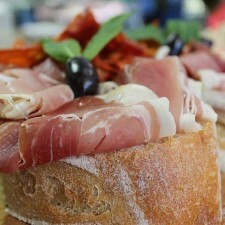 At Nowra Farmers Market, quality and value go hand in hand. 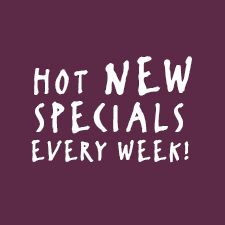 So if you love food and you love a bargain, you’ll really love our Weekly Specials! WHEN ARE THE SPECIALS AVAILABLE? Our Weekly Specials run from Wednesday each week, up to and including the following Tuesday. All advertised specials are available ‘while stocks last’. WANT ACCESS TO MORE SPECIALS? Subscribe to our weekly newsletter to receive the latest news and specials direct to your inbox every Wednesday morning! Like and follow us on Facebook and Instagram to see our Weekend Specials and other exclusive in-store offers! Looking for the perfect gift? 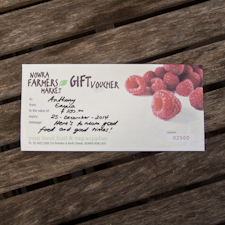 Why not give them something useful, like a Nowra Farmers Market gift voucher? To arrange a voucher send us an email or phone us on 02 4422 3356 (ext. 3) during opening hours. Terms and conditions apply to all gift vouchers. Love your daily caffeine hit? Get rewarded simply for drinking coffee with our rewards card. Every time you enjoy an in-store coffee we’ll stamp your card, then once you collect 8 stamps, you’ll receive your 9th cup free. Your full card then goes into the draw to win a week’s worth of free coffee. Stuck for dinner inspiration this week? Why not pick up one of our 5-day dinner meal plans? 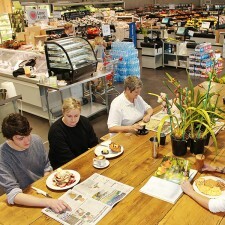 Rotated regularly, each meal plan contains seasonal produce and specials which you can buy in-store. Check out our current meal plan. If you’ve got a fantastic recipe you’re dying to share, we want to hear from you! The winning recipe will be featured in one of our meal plans and you’ll also score a $20 Nowra Farmers Market gift voucher for your effort. Email us for a chance to feature your recipe and win a $20 gift voucher.